Yesterday, we had a look at how the team of Prof. Dr. Lars Krogmann at SMNS perfoms size fractioning of insects caught by Malaise traps. We thank all colleagues involved for the great day with a good exchange of ideas and thoughts about research and assessment of hyperdiverse insect groups! For the third time, more than 100 scientists from all over the world came to attend the “Biosyst.EU” conference format for all kinds of organism groups. There were lectures and discussions on various aspects of biological systematics and diversity, covering everything from fungi, plants, algae, insects, automatic image recognition methods and new teaching formats for pupils and students. GBOL organized a symposium on “DNA-barcoding and the future of biodiversity monitoring” on the initiative of Prof. Wägele on behalf of the Society for Biological Systematics (GfBS). Our keynote speaker was Prof. Mehrdad Hajibabaei from Canada, who described the successful path from DNA barcoding to metabarcoding and presented the latest ideas on metatranscriptomics and other innovations. Our symposium was well attended and the many discussions give hope for new projects and cooperation! End of October a delegation of the National History Museum Prague visited our GBOL project at Museum Koenig Bonn. Michal Tkoč, a flat-footed flies (Platypezidae) specialist and curator of Diptera, and scarab beetle (Scarabaeidae) specialist Dominik Vondráček are responsible for the entomology part of the recent Czech Barcoding Campaign. The project is funded by a grant of the Czech Ministry of Culture named “NAKI” (supporting of applied research and development focused on national identity and cultural heritage) DG16P02B038: “A methodology for the determination of zoological collection specimens on the basis of DNA analysis and the management of tissue samples collection”. Granted with 600 000 € the project will focus mainly on different families of beetles and flies till the end of 2019 as well as on the members of other insect orders (e.g. Lepidoptera, Hymenoptera) and also vertebrates and other non-insect invertebrates. Special focus will be dedicated to species distributed in the Czech Republic and Middle Europe since these represent the most important and culturally valuable part of local collections. 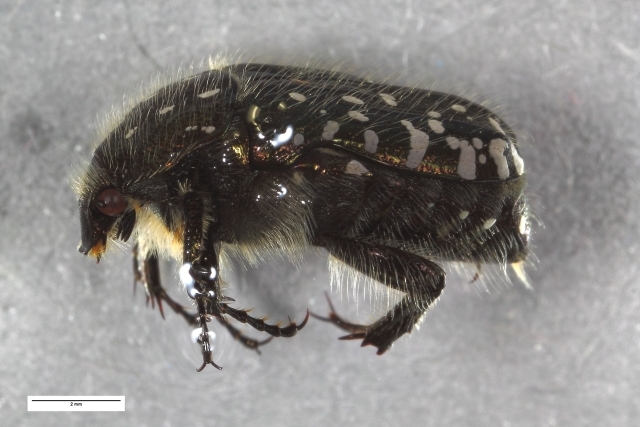 Additional goal is using barcode sequences to resolve determination and taxonomical problems as well as identification of new species from different groups of insect which are in the scope of their colleagues in National History Museum Prague. During their two-day stay they got first hand insights of our established work-flows, policies, labor routines and technical equipment. Experts of the GBOL team showed all stations from the sample, over generating the barcode, ending in long-term storage as well as the scenes behind. Fruitful discussions illustrated optimization potential in the planned project. We wish our Czech colleagues a good start with barcoding and looking forward to our collaboration! 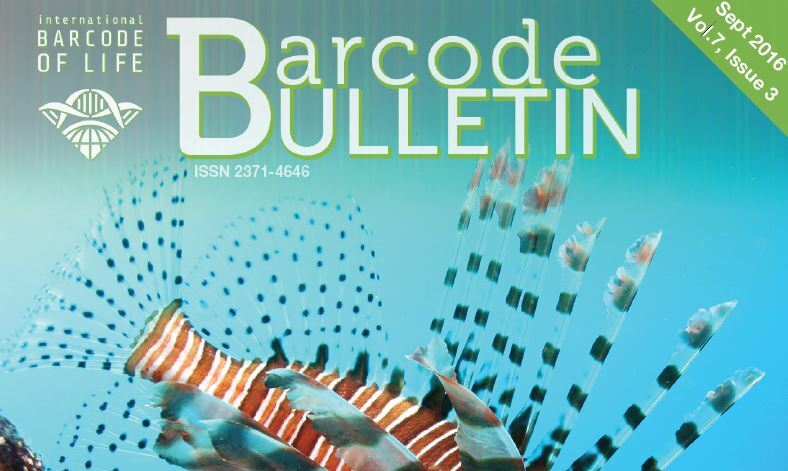 The current issue of the Barcode Bulletin newsletter contains four GBOL contributions – have fun reading! Jonas Zimmermann and colleagues of the Botanic Garden and Botanical Museum Berlin-Dahlem (BGBM) report about GBOL in the latest newsletter of the ‘Global Genome Biodiversity Network’ (GGBN). A particular focus is laid on the question of how to deal with eDNA from e.g. diatoms, i.e. DNA from environmental and mixed samples, and how it should best be stored and documented. 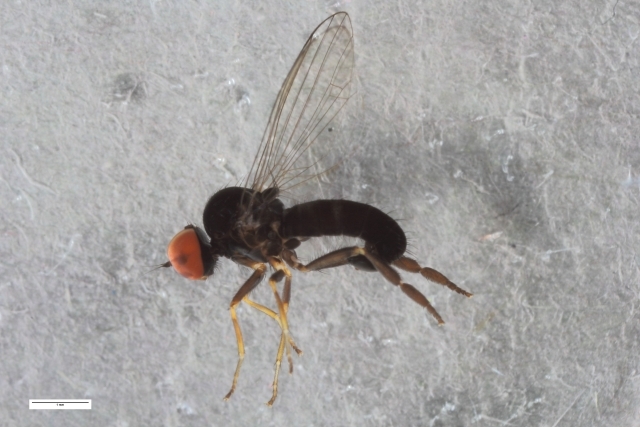 Björn Rulík (taxonomic coordinator at the Zoological Research Museum Alexander Koenig – Leibniz Institute for Animal Biodiversity, Bonn) and Kai Heller (Citizen Scientist in GBOL, Quickborn) describe a new species of fungus gnat in the recently published edition of the Biodiversity Data Journal . Surprisingly, the animal has been discovered in the museum garden in the center of Bonn using an automated malaise trap for the efficient detection of biodiversity in the context of the GBOL project. Click here directly to the article. Click here for the data set in BOLD. The GBOL team wishes all collectors, colleagues and experts, which give us such great support all the best, happiness, satisfaction and health for 2016! As the BMBF generously continues to fund GBOL we can continue to work together on the expansion of the reference library and also on many exciting applications of DNA barcoding. More on this will soon be available on our website. As has been announced at the last iBOL 6 meeting in Guelph, the new version v4 of the Barcode of Life Datasystem will go online this month. Here (minute 26 onwards) you can seen what new features will be available to manage and analyse DNA barcodes. LifeScanner – How does it work? 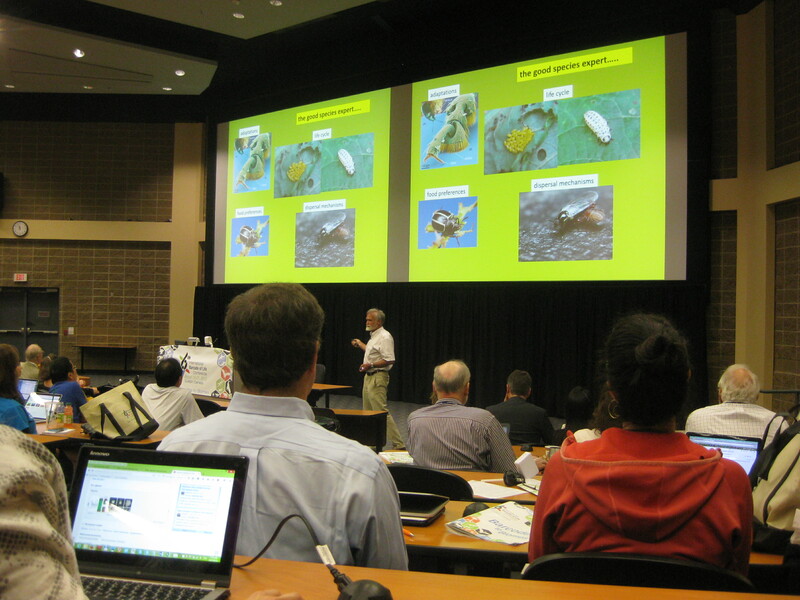 For the 6th time now last week (August 17 to 22 in 2015) experts came together from over 60 countries in order to learn about DNA barcoding and to present their results. 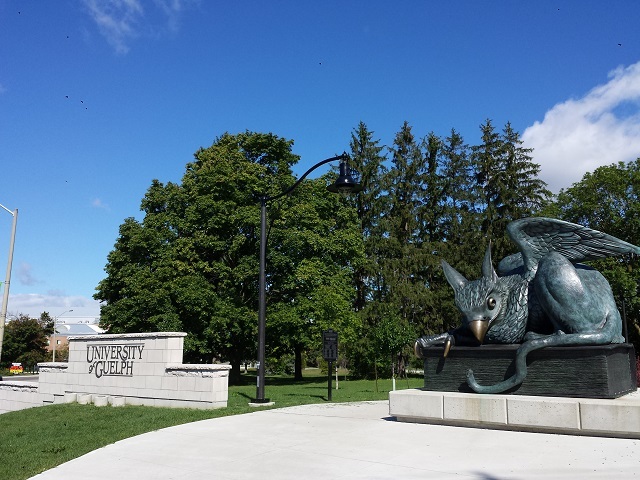 Nearly 600 participants traveled to Guelph in Canada, and were very pleased with an excellently organized meeting on the campus of the University of Guelph (http://dnabarcodes2015.org). In seven parallel sessions all conceivable aspects and present and future applications of DNA barcoding were discussed and brought new alliances and project ideas on the way. GBOL was represented by Prof. Wägele and Dr. Geiger and videos of the presentations of the guest speakers are available on Youtube (https://www.youtube.com/user/uofguelph). In addition, there are numerous impressions and feedback on Twitter (https://twitter.com/hashtag/dnabarcodes2015) to individual presentations.